It’s 1999 and the internet is still a novelty. At a newspaper office, two colleagues, Beth and Jennifer, e-mail back and forth, discussing their lives in hilarious details, from love troubles to family dramas. And Lincoln, a shy IT guy responsible for monitoring e-mails, spends his hours reading every exchange. At first, their e-mails offer a welcome diversion, but the more he reads, the more he finds himself falling for one of them. By the time Lincoln realises just how head-over-heels he is, it’s too late to introduce himself. After a series of close encounters, Lincoln eventually decides he must follow his heart… and find out if there is such a thing as love before first sight. I couldn’t get into this. I wrote a note that goes: “almost halfway through the book and nothing is happening! It still feels like staging the plot.” On top of that, Lincoln is very much a work of fiction — he’s kind, extremely loyal, usually considerate, and very articulate with his emotions. He’s the prime example of the ‘nice guy’ syndrome, which, if you haven’t encountered a lot of guys, is very hard to tell apart from the pretend nice guy to a proper nice guy. At least Beth and Jennifer have somewhat relatable problems, such as possibly not wanting kids or just not knowing what to do in life at the age of 28. Beth is a bit weird, though: she had this timeline about meeting ‘The One’ in university, getting engaged after graduation, then marrying the year after. Don’t you want to meet more people instead of tying yourself down that early? Or is a culture-specific way of thinking? What I’m most weirded out about this book is that the characters are 28-year-olds, but I cannot get on their wavelength at all. Strange, because I found Rowell’s other book more emotionally engaging/relatable, and the characters in it are teens! Eleanor is the new girl in town, and with her chaotic family life, her mismatched clothes and unruly red hair, she couldn’t stick out more if she tried. Park is the boy at the back of the bus. Black T-shirts, headphones, head in a book – he thinks he’s made himself invisible. But not to Eleanor… never to Eleanor. 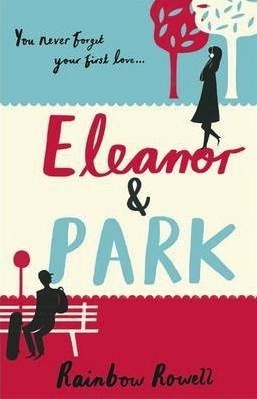 Slowly, steadily, through late-night conversations and an ever-growing stack of mixtapes, Eleanor and Park fall for each other. They fall in love the way you do the first time when you’re young, and you feel as if you have nothing and everything to lose. I nearly did not want to read this after wanting to DNF Attachments. 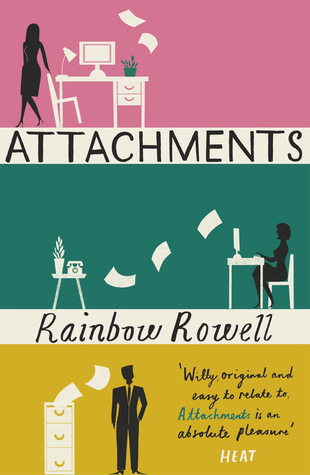 If I couldn’t handle Rowell’s 28-year-olds, how will I fare with her teenage characters? However, I was pleasantly surprised, and I’m glad I read it. It’s a love story between these two teens, but there was so much more involved — abuse, loving one’s self, acceptance, family, friendship. I think back on it now, and it’s not even the romance that comes first to my mind. I remember the characters’ pain, of finding someone who accepts and loves them as they are, and their individual struggles. I generally get annoyed with teenage characters and their issues, and they make me cringe when they make their posturing and impulsive decisions. But Eleanor and Park never made me feel that way once (or if they did, not very often) and I could empathise with their feelings and their situation. Kate Harker and August Flynn are the heirs to a divided city—a city where the violence has begun to breed actual monsters. All Kate wants is to be as ruthless as her father, who lets the monsters roam free and makes the humans pay for his protection. All August wants is to be human, as good-hearted as his father, to play a bigger role in protecting the innocent—but he’s one of the monsters. One who can steal a soul with a simple strain of music. When the chance arose to keep an eye on Kate, who’s just been kicked out of her sixth boarding school and returned home, August jumps at it. But Kate discovers August’s secret, and after a failed assassination attempt the pair must flee for their lives. I normally write on my bujo what I think of books I’ve read, even if it’s a short scribble. This Savage Song was the first book in 2017 that I cannot be bothered to write about on it. The premise is interesting, but the characters didn’t grab me at all. I did want to find out about these monsters and it was interesting how they came to be, but that was not the bulk of the story. Kate Harker is annoying, too obsessed with getting validation from her father that I’ve grown tired of it (blood family doesn’t mean you can’t find a different set of people who will love you and accept you) that it was getting very one-dimensional. There was only a semblance of complexity in the characters, and in a plot that doesn’t have as much tension, it failed to make me care about what happens to any of them. The edition I read (which is the image you see here) has 84, Charing Cross Road and The Duchess of Bloomsbury Street in one book. Both are very short works of memoir; the first is written an epistolary form, which is comprised of the letters exchanged between Hanff and employees of the bookshop in 84 Charing Cross Road, and the second is a diary of her trip to London after the publication of her book. 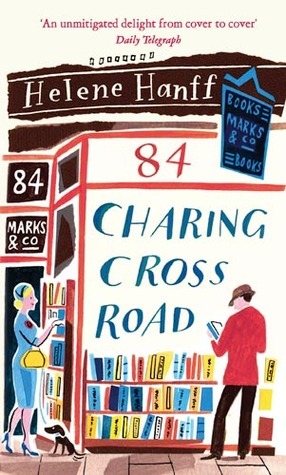 I read 84 Charing Cross Road not knowing what it was about, so it took me a while to warm up to it. However, finding out that it was a memoir, and reading how a transatlantic friendship was formed through letters and books, my stone-cold heart melted (hah) and my heart broke towards the end. The Duchess of Bloomsbury Street, however, elicited a different reaction in me. At first, it was amusing to read of Hanff’s adventures in London, and her observations of the social de rigeurs of the British people. It seemed to me, though, that the was the only content of the book. What was at first amusing turned tedious, and I was suddenly wondering whether I must have missed the charm, or it was only entirely found in 84 Charing Cross Road. In a world where ash falls from the sky, and mist dominates the night, an evil cloaks the land and stifles all life. The future of the empire rests on the shoulders of a troublemaker and his young apprentice. Together, can they fill the world with colour once more? In Brandon Sanderson’s intriguing tale of love, loss, despair and hope, a new kind of magic enters the stage— Allomancy, a magic of the metals. This one is a re-read. 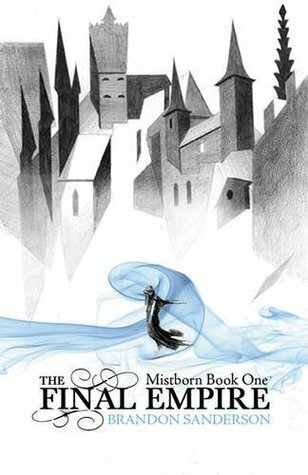 I first read the Mistborn trilogy in late 2010, and since I wasn’t regularly reading back then, I was completely enchanted with this new world that was laid out in the book. I thought the world building was fantastic, and I liked the detail in it. I initially rated it 4-5 stars on Goodreads. I had to downgrade it this time, though. I still find Allomancy a captivating system of magic, and I love the burst of activity and twists towards the end of the book. But it was a bit of a slog getting there, and much as I still like it, I think there could have been a few edits here and there to make it a bit shorter. Still, it’s going to be one of those I’d recommend to fans of fantasy books! Damn, that was quite a long read, I think! I commend you if you got this far! 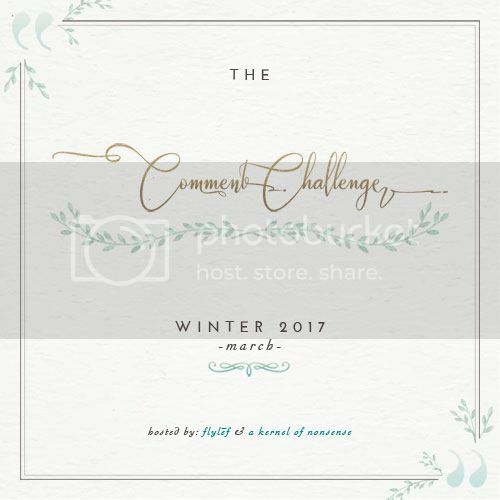 But lastly, I just wanted to announce my participation in the last part of the Winter Comment Challenge, hosted by Lonna at FlyLEF and Alicia at A Kernel of Nonsense. I’ve participated in the February run, and it was a great push for me to regularly visit other blogs and leave comments, which is something I did not think to do regularly. Although to be fair, I post just as irregularly, but at least now I have the push to at least put up one new post a week! If you’d like to join in the fun, the image up there should direct you to the sign-up post. Have you read any of the books mentioned above? What did you think of them? I know I’m in the minority with This Savage Song! I am your comment partner for march. I just wanted to pop by and say hi and check out your site. I love it so far! Hi Dinh! Aw, thanks for dropping by! Didn’t realise the partnerships were up now, but then again, I just squeeze in some online time in between the job and real life stuff during the weekdays. 😀 I’ve just quickly browsed through your site too, and I’m eyeing one or two posts of yours I’d love to read! 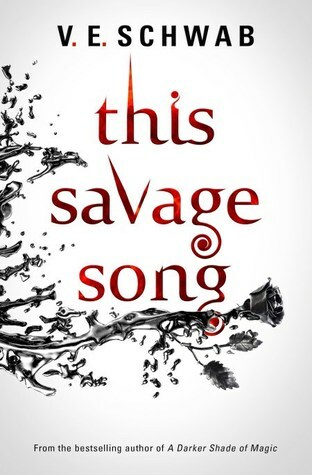 Gemma, I think you meant VE Schwab for This Savage Song instead of Rainbow Rowell. I don’t think I’ve ever rated a book 1-star so you must have really disliked TSS! I really liked it for the violence breeding monsters concept, and I adored August. I was also a fan of the fact that there was no romance in it! I agree with you about Kate though, she needed to tone it down a little. Ooops — that’s what you get for copy & pasting blocks of code! 😀 Thanks for that, all corrected now! And yeah, I just couldn’t get on board with it. There was so little of the ‘monsters’ and August and his siblings interacting had about, a quarter of space compared to Kate Harker and her posturing and daddy issues and thinking she’s being perceptive and smart. I’m rolling my eyes now just thinking back on it, haha!